The Driverless Car: Dirty Trick or Treat? The disastrous bus crash outside of Palm Springs that claimed 13 lives seems to have been caused, at least in part, by the actions of the driver. The evidence is that he failed to hit the brakes when his bus approached a big-rig. Such lapses on the part of drivers encourage the idea that maybe we’d all be better off with driverless vehicles, which rely on modern technology (and not human brainpower) to help avoid accidents. But as Halloween approaches, it’s time to consider what the movies would be like if vehicles functioned without help from humans. Can you imagine a future with no bus drivers? Our movies and television shows just wouldn’t be the same. If buses drove themselves, Ralph Kramden--played by Jackie Gleason in a series of TV sketches known as The Honeymooners—would be out of a job. And the movie Speed, in which Sandra Bullock has to get behind the wheel of a L.A. city bus that’s been rigged with explosives, wouldn’t be the same at all if the bus did all the driving sans human intervention. Another movie that just wouldn’t work in the world of self-driving vehicles is Nicolas Winding Refn’s The Driver. It features a Hollywood stunt driver (Ryan Gosling) who moonlights as a getaway driver for criminal types. These shady gigs inevitably lead him into the L.A. criminal underworld, where he finds himself challenged to hold onto his basic humanity. 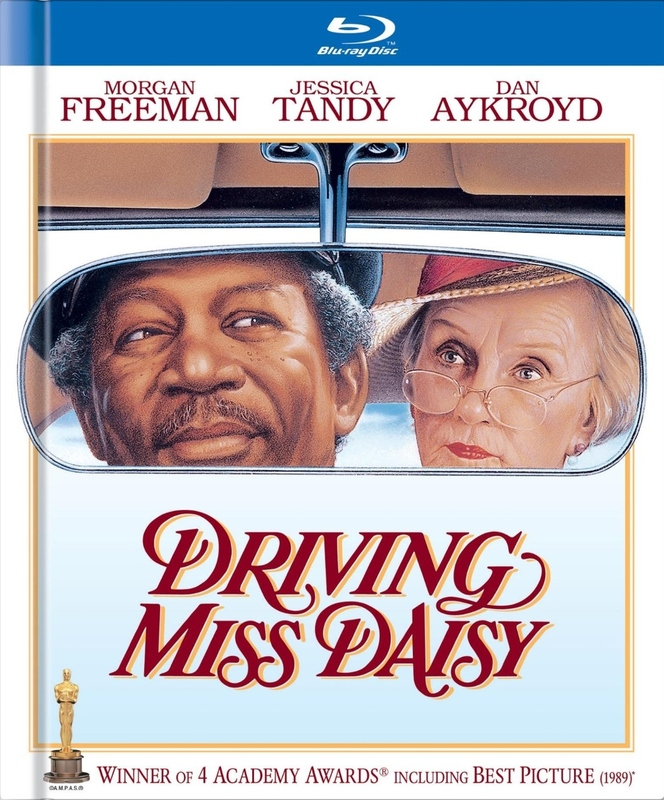 If the driver, instead of being all too human, is in fact My Mother the Car, the movie loses the entire moral conundrum element. Of course there’s something to be said for driveless cars in those instances when the car’s owner would rather be smooching with his girlfriend in the back seat than signaling for left turns. When your libido is otherwise occupied, it must be a boon to leave the driving to an automaton. But it would be a real loss for screenwriters everywhere if driverless cars were to make cabbies unnecessary. Screenwriters are adept at creating colorful characters, full of wisecracks and wisdom, who give taxi scenes ethnic flavor and sometimes add significantly to a movie’s messaging. There’s a smart moment early in Guess Who’s Coming to Dinner when the lovebirds played by Katharine Houghton and Sidney Poitier are nuzzling each other in the back seat of a taxi during a ride from San Francisco International Airport. The first interracial kiss ever seen in a Hollywood film appears solely in the cab driver’s rear-view mirror. And on the cabbie’s face is a look of total disgust. In that small moment, director Stanley Kramer silently conveyed what he knew would be one form of public reaction to this groundbreaking interracial love story. A cab driver of another sort is featured in one of my favorite World War II musicals, On the Town. Who can forget Betty Garrett as a pert lady cabbie? The audience loved her determination to show the innocent young sailor played by Frank Sinatra far more than he would ever find in his grandpa’s New York City guidebook. And of course if you have driverless taxis, you can’t possibly make a movie like Taxi Driver, in which Robert De Niro stars as Travis Bickle, an ex-Marine turned vigilante. Bickle’s life inexorably changes when a teenaged prostitute played by Jodie Foster enters his cab. A driverless taxi would surely not have the same, very human reaction to Foster’s plight. And hey, if Driving Miss Daisy played out in a driverless vehicle, how would Jessica Tandy’s little old lady get the life lessons she so badly needs? Long before there was Brangelina, we had Tom & Jane, two celebrity spouses who taught us what it meant to be a power couple. Today my morning newspaper was full of the death (at the early age of 76) of Tom Hayden: activist, politician, and former husband of Jane Fonda. They were married between 1973 and 1990. During that time, Fonda made important movies like Julia (1977), Coming Home (1978), and The China Syndrome (1979) that expressed the couple’s uncompromising political beliefs. Hayden himself was no actor, but he was often seen on camera. From his days as a student activist loudly opposing the Vietnam War, and then as a defendant in the Chicago 7 trial stemming from disruptions at the 1968 Democratic National Convention in Chicago, he was prominently featured in news footage. Once he became a California state legislator and then an elder statesman supporting progressive causes, he appeared in countless documentary films. So in his heyday he was as prominent a public figure as his famous wife. What is it with showbiz power couples, anyway? Not all of them are leaders within the industry. Some, like Gable and Lombard, are simply beautiful people who can be admired and envied by the public because of their aura of Hollywood glamour. (The tragedy of Lombard’s plane-crash death of course helped to make their pairing all the more starry.) But Angelina Jolie and Brad Pitt as a couple were more than just pretty faces. Above and beyond her acting career, she has been recognized world-wide for her humanitarian efforts on behalf of refugees and needy children. And she is starting to make her mark as a director of tough-minded dramatic films, like In the Land of Blood and Honey. 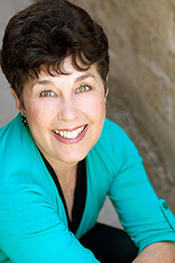 Even her health challenges (like her decision, as a carrier of a defective BRCA 1 gene, to undergo a double mastectomy) have had worldwide impact. Pitt, meanwhile, has juggled acting roles along with a new commitment to producing films. He was behind last year’s provocative The Big Short, as well as 2016’s much-admired Moonlight. I think we like power couples because they “prove” to us that it’s possible to have it all: good looks, high achievements, and a romantic relationship that underpins all the rest. Only problem-- high-achievers don’t seem to make the best long-term spouses. I’m no expert on what went wrong with Jane and Tom, or with Angelina and Brad, but it’s sad that they don’t seem able to live happily ever after. Right now you can watch in theatres a small indie called American Honey, a road trip flick that won the jury prize at this year’s Cannes Film Festival. And this weekend sees the opening of American Pastoral, an ambitious family drama based on one of Philip Roth’s most acclaimed novels. Directed by and starring Ewan McGregor (in the unlikely role of an American Jewish husband and father coping with life in the Sixties), it made its debut at the Toronto International Film Festival. It has always amazed me how many movie titles start with the word American. Off the top of my head, there’s American Graffiti, American Gigolo, and American Ninja. Not to mention An American in Paris, An American Werewolf in London, and An American Tail. Much more recently we’ve had American Heart, American Pie, American Psycho, American Hustle, and American Sniper. On TV, of course, there was until recently American Idol (based on a British show much more modestly called Pop Idol.) And, currently, American Horror Story and American Crime Story. Plus, of course, The Americans. When Richard Schickel published a biography of the brilliant but racist filmmaker, D.W., Griffith, he gave it the subtitle “An American Life.” And Paula Uruburu’s fascinating look at the life of notorious showgirl Evelyn Nesbit is called American Eve. What does it say about the American people that we seem to respond to titles that shine a spotlight on our national character? The recently popular phrase “American Exceptionalism” seems to make the point that we who live in the United States (Canada and Mexico don’t count) think of ourselves collectively as awfully important on the world stage. Sometimes we’re a force for good and sometimes for evil, but nothing done by an American can be considered insignificant. And when an American steps forward, for good or for ill, he or she is not just an individual but rather a representative of our entire culture. All of which leads me to mention one of the bleakest Oscar winners of all time, 1999’s American Beauty. I watched this film, starring Kevin Spacey and Annette Bening, again recently, and was blown away by its craftsmanship and its power. (Kudos both to director Sam Mendes and screenwriter Alan Ball.) American Beauty is undeniably dark in its depiction of suburban life, and of the disintegration of the nuclear family unit. As is the case with the great Sunset Blvd., it is narrated by a dead man, one who was not really living even prior to his abrupt demise. In American Beauty, many of the less-appealing aspects of American life are put under the microscope: crass materialism, homophobia, drug use, obsessive body culture, the inability of even the most articulate of wage-slaves to share what’s on their minds with those they love. The protagonist, disappointed in so many aspects of his materially comfortable life, lusts after a teenage girl, in a way that is calculated to make us (or at least most of us) feel uncomfortable. And yet . . . and yet. The other side of American Beauty is one that recognizes that there is beauty in American life. The film’s most sensitive soul is (of all things) a young drug dealer, whose home life is horrendous but who’s blessed with the ability to recognize loveliness when he sees it. The film’s advertising catchphrase is “Look closer,” and by the end of the film the doomed hero has recognized that life—his life, American life—is crammed full of simple and beautiful things. Like a plastic bag blowing in the wind. Or a really terrific film. Bruce Tracy, this one's for you. There’s sorrow and some anger in Thailand, where the world’s longest reigning head of state has just died. King Bhumibol the Great, 88 years old at the time of his passing, ascended to the Thai throne in 1946, when he was just 19. I visited Thailand in 1967, staying in the home of a well-connected Thai family, and I can attest to the admiration and affection King Bhumibol and his consort, Queen Sirikit, inspired. He, well educated in Europe, was known to his people as a writer, translator, sailor, inventor, and accomplished jazz musician. His queen was idolized by my host family as someone more beautiful than any movie star. With the king to be succeeded by his less popular son, the various political crises that have plague his nation of late are sure to intensify. Thailand was a calmer place when I was there. 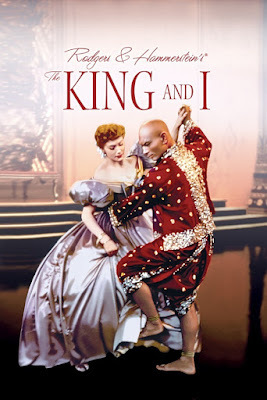 One thing that stands out for me is the fact that everything connected with Rodgers and Hammerstein’s beloved musical, The King and I, was banned, on the grounds that it was disrespectful to the monarchy. The musical is based on the true story of a Welsh teacher, Anna Leonowens, who traveled to what was then called Siam to instruct the children of King Rama IV, at a time when the kingdom was starting to turn toward the west for new ideas. We westerners have always loved the character of this mighty but troubled king, as portrayed by Yul Brynner on stage and on film. Thais, though, have traditionally felt that this ancestor of the current monarchy was much diminished in the show’s portrayal of him, especially by the suggestion that a British woman was his intellectual equal and a true power behind the throne. I don’t pretend to know much about Thai history. But I do know that The King and I is a glorious musical, humane and intelligent as well as tuneful. For my money, it may be the best transfer of a Rodgers and Hammerstein Broadway hit from the stage to the screen. (This may be heresy, but I’m not entirely a fan of the Julie Andrews/Christopher Plummer The Sound of Music.) A book I’ve just been reading, Jack Viertel’s The Secret Life of the American Musical, makes a convincing case for the structural integrity of The King and I as a stage play. Viertel pays special tribute to the “Shall We Dance?” scene, a glorious romp that is covertly almost a love scene between a Welsh widow and a much-married Siamese king. One thing that has long fascinated me about The King and I is how creatively the musical team has used Thai musical instruments and dance moves to add an exotic eastern flavor to an essentially western score. During my long-ago trip to Thailand, I remember visiting a young monk who was a relative of my friends. (All young Thai men were expected to serve as Buddhist monks for a year or so before returning to the secular world.) Somehow this young monk had gotten hold of a soundtrack recording of The King and I. It may have been banned, but he was playing it . . . and (in his saffron robes) was happily dancing. Speaking of which, the phrase “Shall We Dance?” ended up as the title of a wonderful Japanese movie. Released in 1996, it’s the charming story of a shy accountant whose life changes for the better when he secretly takes up ballroom dancing. I haven’t seen the Richard Gere remake, but I doubt this has the heart (and the cultural specificity) of the Japanese original. This morning I discussed the king’s death with a Thai woman. Though she has lived in California for 20 years, she had to fight back tears in speaking about the monarch who had served as a father to his people throughout her life. She tells me, though, that The King and I (and other versions of the “Anna and the King” story like the non-musical Jodie Foster/Yun-Fat Chow film from 1999 ) are no longer banned. I awoke to the news that the Nobel Prize for Literature had been won by . . . Bob Dylan. I knew Dylan had been nominated before, but always figured this was in the realm of fantasy, like Wonder Woman being named Miss Universe. Of course we live in a land where Sonny Bono was elected to Congress and Arnold Schwarzenegger served as governor of California. (And I won’t go into current U.S. presidential politics.) So I knew that glamour figures from the entertainment field could come out on top within America’s borders. But Dylan’s elevation to the world’s top literary prize was not determined by any American citizens. The Swedish Nobel committee had their pick of current U.S. literary lights, like (for example) Philip Roth. There had not been a U.S. Nobel laureate since Toni Morrison in 1993. Such important recent writers as John Updike and Edward Albee went to their graves unrecognized. And, of course, there are great international figures who deserve Nobels: how about a prize for playwright Tom Stoppard? But Dylan’s achievement—the first ever given to a songwriter—says something surprising about the world’s respect for American popular culture. How do I feel about this honor? Actually, I’m not quite sure. As a lover of precise word choices, I’ve never been entirely convinced by Dylan’s use of the English language. Sometimes all those phantasmagoric images in songs like “Desolation Row” seem picturesque rather than meaningful. And you’re not going to get me to coo over lyrics like, “Everybody must get stoned.” But the Nobel folks have cited Dylan "for having created new poetic expressions within the great American song tradition," and I love this recognition for our country’s musical heritage, one that has indeed circled the globe. Early on, some filmmakers thought Dylan had the makings of an actor. He actually had a featured role in Sam Peckinpah’s Pat Garrett and Billy the Kid (1973), but it was cut drastically when his acting chops didn’t measure up to his personal charisma. So it’s doubtless a good thing Warren Beatty didn’t follow through on his impulse to cast Dylan as the male lead in Bonnie and Clyde. There was, though, a vivid 1967 D.A. Pennebaker documentary covering Dylan’s debut concert tour of England. The title is Dont Look Back, and even the missing apostrophe hints that the film’s central figure is a rebel, pushing hard against the rules of polite society. In the film, a surly Dylan makes plain his refusal to be sucked into the starmaker machinery on which the recording industry is based. Whether meeting other musicians backstage or jousting with the press, he seems guarded and occasionally hostile. Determined not to be categorized, Dylan parries every label that journalists try to pin on him. No, he’s not a folksinger. No, he’s not an angry young man. What many mainstream reviewers of the film missed (aside from the quality of Dylan’s musical output) is key to what attracted the young fans of the Sixties: the fact that Dylan, both offstage and on, so completely negated what their parents would consider appropriate entertainment. His slapdash mode of dress, his laconic on-stage manner, even his droning and nasal voice were affronts to the middle-aged. 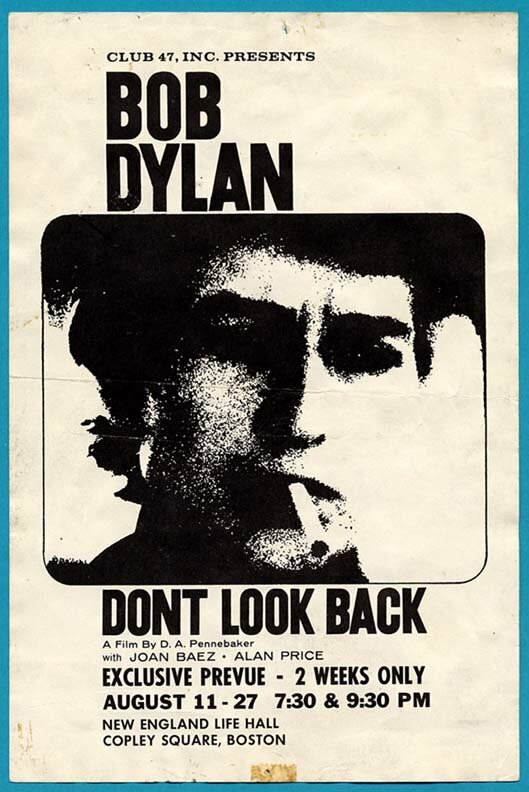 And Dont Look Back revealed that the defiant stance contained within Dylan’s lyrics was also a part of his behind-the-scenes persona. He was the quintessential rebel, the surly punk who had no use for his elders, the direct descendant of Brando’s Wild One and James Dean’s Jim Stark. But he’s lasted, and evolved. And is now a Nobel Laureate. Who’da thunk? David Remmick of the New Yorker offers his own tribute to Dylan.